David Evett of Evett Design began tinkering in the woodshop as a young boy and never stopped. A few years ago, David sold his workshop and ventured into graphic design. 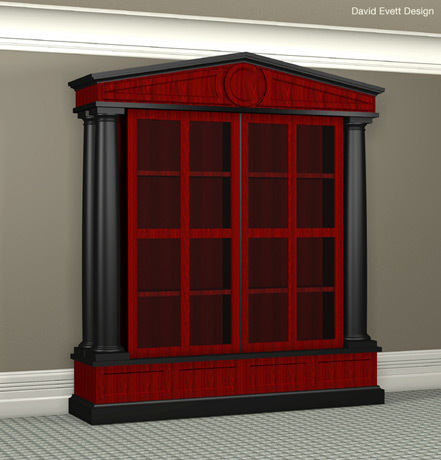 He missed creating furniture, however, until he discovered 3D modeling in Ashlar-Vellum Cobalt™. Today he is a successful, high-end custom furniture maker and product designer. Evett estimates that a small shop can recover the initial cost of Cobalt in the first one or two sales. For larger operations, the return on investment is even faster. He believes many small shops mistakenly assume they can’t afford to buy Cobalt 3D CAD and 3D modeling software. They don’t realize just how quickly its cost is recouped through drastically increased profit margins and customer loyalty. When the customer changes their mind or isn’t happy with the direction of your design, simply make the changes within the software. There’s no wasted materials or labor. Cobalt is really an artist’s tool, but you get the CAD as a bonus! Today Evett is designing for several industries. Recently he took on a project that had stumped other designers, a DVD player front that just wouldn’t sell. Evett redesigned the part, modeling it in Cobalt, an undertaking that required an enormous amount of detail work with no room for miscalculation. Evett’s artistic genius and Cobalt’s precision 3D modeling lead to an amazing turn around. The new DVD part sales skyrocketed. David estimates that the project would have cost $30,000-$40,000 in machining costs had they gone a traditional route of design and prototyping. His digital design cost only $6,000. 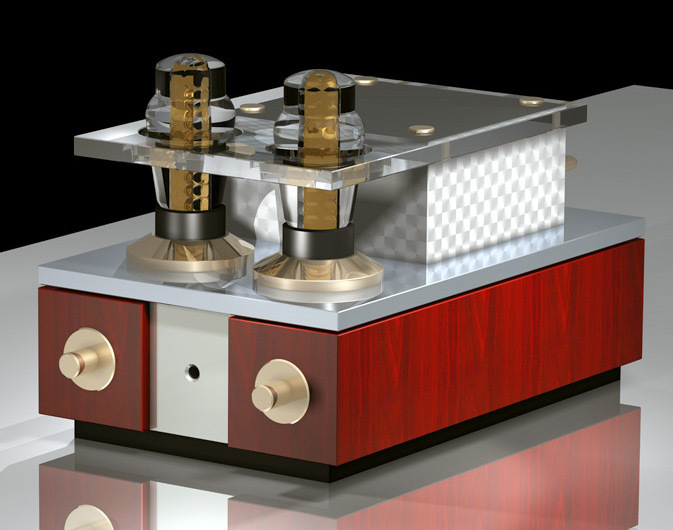 Evett designed a full line of stereo amps in Cobalt CAD and 3D modeling software for his client Wavelength Audio, which were a huge hit at the Consumer Electronics Show. 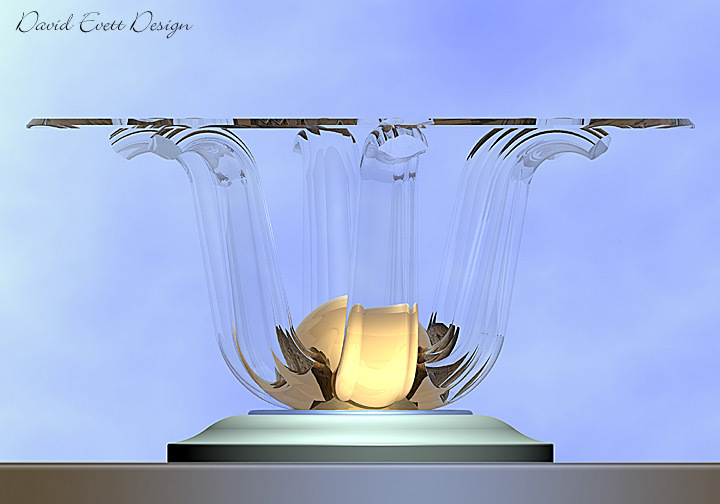 Evett’s designs are as diverse as they are beautiful, including this elegant table above and this classic wall unit, below, both designed and rendered in Cobalt 3D modeling software.